Traditional skylights are no longer the sole option available to homeowners eager to bring light into dark spaces. Learn the many reason to opt for a tubular daylighting devices instead of traditional skylights. There’s nothing quite like natural light to brighten the rooms of a home. For one thing, sunlight’s free, so making good use of it can cut down on electricity costs. For another, exposure to sunlight tends to boost people’s moods, and can even improve health. And when compared to fluorescents and other often unflattering types of lighting, natural light shines in its ability to draw out and intensify colors, enhancing the effect of your decor. These are among the chief reasons that homeowners have in the past chosen to install skylights, which are, in effect, windows on the roof. But a traditional skylight is no longer the only option. These days, many homeowners are attracted to the significant advantages of a tubular daylighting device (TDD). Not only are TDDs more versatile than traditional skylights, but they also eliminate one of the problems that frequently plague skylights—leaks. Tubular skylights emit light through a small dome, not through a pane of glass, which results in their being far less prone to moisture seepage. Further, because TDDs are installed around structural components like joists and rafters, they can be accommodated without extensive renovation work. That means tubular skylights can often be installed faster—and for less money—than traditional skylights. TDDs look virtually identical to ordinary lighting fixtures. In fact, a visitor who notices an installed TDD may not even realize that the light he’s seeing isn’t artificial. 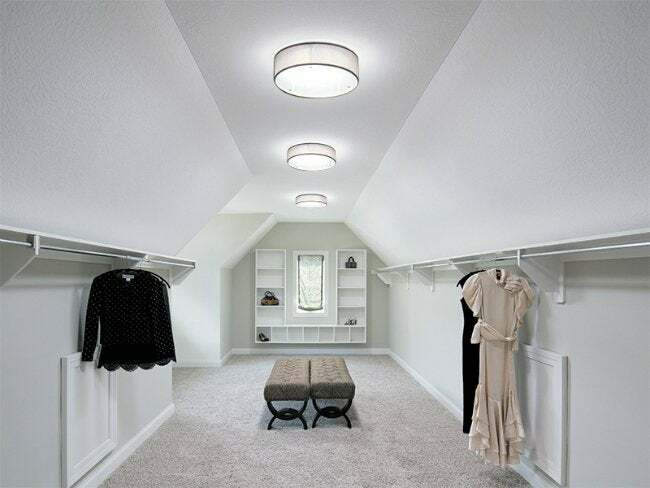 Solatube International—a global leader in daylighting systems—goes a step further, offering a wide range of decorative fixtures that ensure the company’s TDDs look perfectly at home in any decorating style. 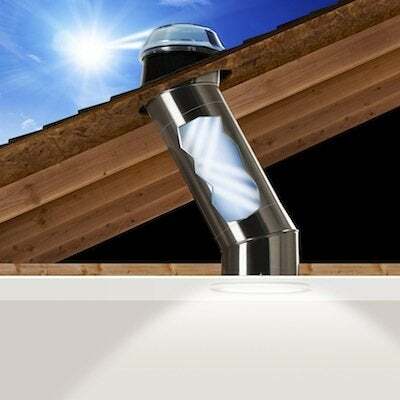 Solatube even offers a Daylight Dimmer that lets you adjust the brightness. Plus, the company has developed a hybrid TDD with integrated LEDs that provides energy-efficient electric light for nighttime use (or when the weather is cloudy). That way, you don’t have to include a separate artificial lighting system in the room—the skylight alone can provide all the lighting you need. Finally, TDDs may require less maintenance than a traditional skylight. The domes are designed to minimize the chance of leaves or debris building up around or on top of them, and because the domes are self-cleaning, you don’t need to make any dangerous trips to the roof. Now that you know more about the advantages that TDDs have over traditional daylighting, are you beginning to see the light? This post is sponsored on behalf of Solatube International. Its facts and opinions are those of BobVila.com.